Why did I wait until I was in my 40’s to begin running? I ask myself this question all the time, and I know the answer. I was not disciplined and did not want to challenge or push myself. Growing up, I was not a very physically active kid, I didn’t play sports and never acquired the drive to have goals and challenge myself physically. There was always something however that drew me to running. I would see women running down the street and they looked so strong, fit and happy and I wanted that too, but didn’t think I was capable, in good enough shape or that mentally could do it. One day, I decided enough is enough. I was going to start, or at least try, so I bought some running shoes, got my playlist ready, left the house and began running. I don’t think I made it 1/4 of a mile before I was out of breath and had a side stitch. Needless to say, I had no idea what I was doing. This pattern went on for a week or so before I wanted to give up. I was having lower back pain, knee pain and just hurting all over, I started to believe I wasn’t capable, but I was still determined. I reached out to friends who were runners, and they suggested Running/Walking intervals, so I downloaded an app and this worked for me. I was able to build my stamina and endurance and eventually could run a mile without stopping, then 2, then 3 and eventually 6. Truthfully, there were times I wanted to stop the training because it was getting too hard, but I was determined to not give up on the goal I had set – to run my first 5K. I ran that race, was so proud of myself, and the addiction began. I immediately signed up for a 10K to be held 2 months later. After a few more 5K’s and another 10K, running had become a part of my life. I set running a half marathon as my next goal and I recently accomplished that and plan on running 3 more next year. The joy running brings and the sense of accomplishment you feel once you cross that finish line is like nothing else. Along my journey, I have posted my races and trainings on Instagram and have received so much support. You may think running is an individual sport, but it really is a team sport. I’m lucky to have an amazing group of supportive women in my life and on Instagram, where we encourage and cheer each other on, celebrate each others successes and tell each others it’s O.K. if you didn’t workout or if you ate that donut, tomorrow’s a new day. We check on each other when someone has been MIA and give them the boost they may be looking for. As women, we tend to tear each other down, instead of build each other up. Instead of smiling as we pass, we immediately judge. What we forget is that we are all struggling with something, we all have insecurities and we need to give one another (and ourselves) a break. I’m so thankful for being apart of this amazing community of women. It has completely changed how I treat other women. This it what has inspired me to start my Instagram running page, Inspiring Women Runners. 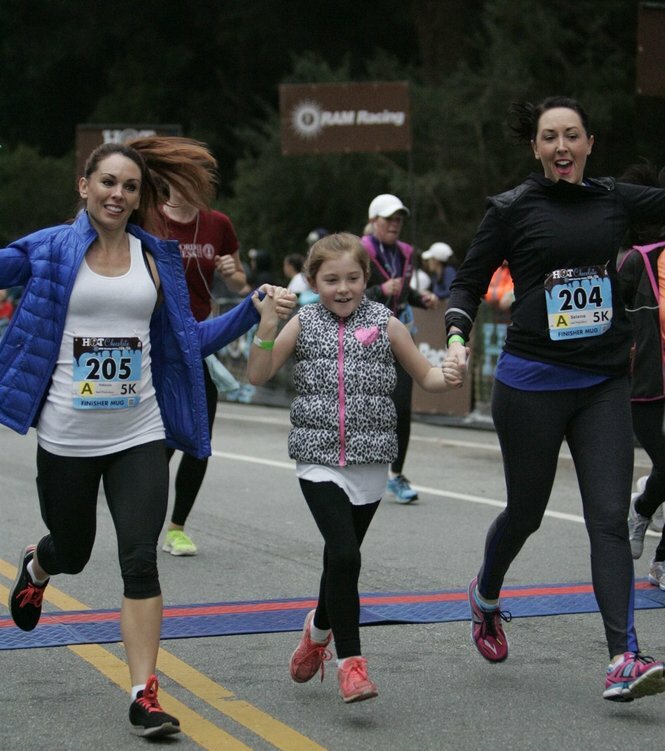 Together we can inspire women of all levels to find their happy and feel the joy running brings. I have been overwhelmed with the flood of women hash tagging their running photos and thanking me for starting this page. I have seen women thanking others for their motivational post, scheduling meet ups when they realized they are running the same race and congratulating each other on their races. This is what running to me is all about. I encourage you to smile, wave, or give a thumbs up the next time you pass a runner on the trail. I guarantee it will give you a boost of energy to finish your run strong and will do the same for your fellow runner.